Naperville Exterior has been the most reliable roofing damage contractor through the Greater Chicago Metropolitan Area since 2002. Our extraordinary team are recognized for fixing even the most complicated siding storm damage, wind damage and roof hail damage. When it comes to roofing storm damage, you can always rely on Naperville Exterior to not ever cut any corners or take shortcuts on projects for our clients. It’s not a surprise that any time home and business owners from Addison are in search of the most competent team of specialists, Naperville Exterior is the only company they contact! Addison, Illinois is a village located in DuPage County and is west of the Chicago Metropolitan Area. The village has a population of about 36,000 residents currently living there. Addison clients recognize that Naperville Exterior has an exceptional pricing policy that demonstrates our company’s commitment to fixing our customer’s roofing issues. We understand how crucial it is for Addison clients to find the most qualified contractor for the job and that’s why they call us first! 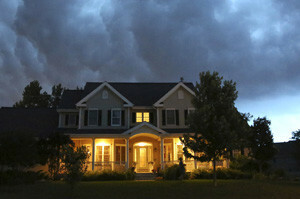 Naperville Exterior is the solution to all your roofing storm damage, roof hail damage and roof wind damage problems. We will go above and beyond our Addison customers’ expectations! Naperville Exterior is seen as being one of the most well-established roofing companies that will improve the overall look and value of your home. We offer lifetime warranties that are 100% transferable. Naperville Exterior has 16 years of combined experience in the industry of repairing roof hail damage, roof wind damage and siding storm damage. You don’t want to wait to contact us if you have recently encountered roofing storm damage. If you are worried about high prices and poor quality, then you don’t need to look anywhere else! Naperville Exterior has affordable prices, with the most experienced teams and our craftsmanship is truly unbeatable! For the most reliable contractor that will always guarantee that you are under a secure roof, call Naperville Exterior at (630) 254-4831 to inquire about your free estimate!